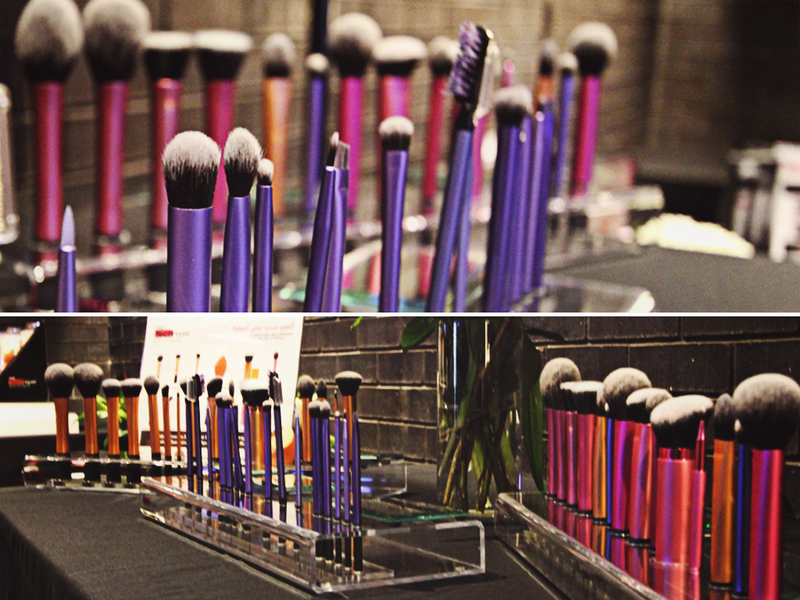 Yes, but do you think they would have noticed if someone took half these brushes home with them? Asking for a friend. I was lucky enough to be invited by Farley Co to meet the Chapman sisters when they were on Real Techniques tour promoting their brushes last year, and MOTHER OF FRICKCAKES, THEY ARE SO STATUESQUE AND EVEN MORE GORGEOUS IN REAL LIFE. The event was held at Joey Eaton Centre (which meant that Steph and I were shamelessly gorging on their amazing hors dourves the entire night), and most of the night was devoted to the sisters chatting about their experiences at makeup school, Youtube, their brush line (background and favourites), and answering audience questions. Overall a memorable night, recieved the Duo Fiber brush set in the swag bag, and got to have most of my Torontonian blogger buddies in one place! Which Youtubers would you like to meet in real life?